At 0022 hours, the Union Fire Company No. 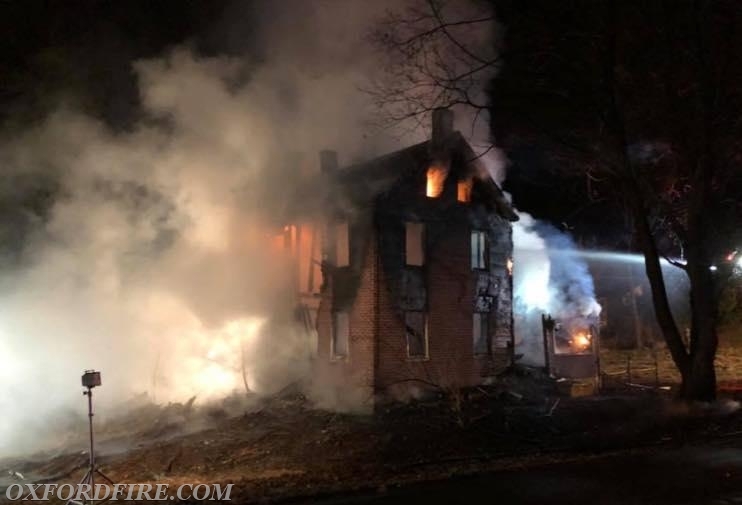 1 was alerted for an Engine and Tanker to assist the Community Fire Company of Rising Sun (8) on a reported working House Fire in the 200 block of Love Run Road in Cecil County, Maryland. Units arrived with a 3-story abandoned house fully involved. 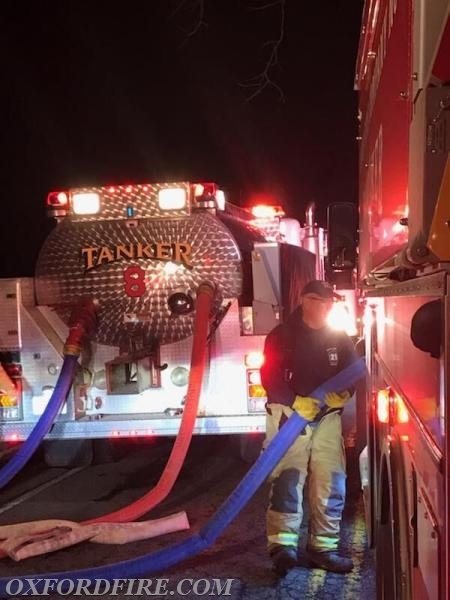 Tanker 21 (Assistant Chief Poole) arrived and joined in the Water Supply operations, shuttling water for the duration of the incident. Engine 21-2 (Deputy Chief Obenchain) arrived and staged. 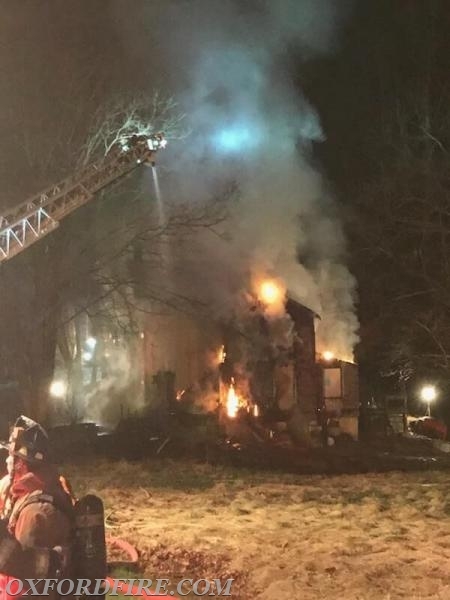 The Crew was sent into the scene where they assisted with fire suppression. 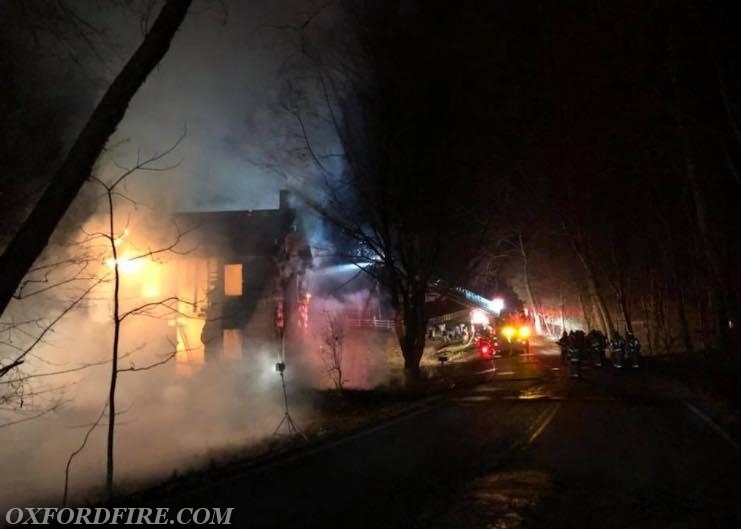 All crews from Cecil County, Harford County, Lancaster County, and Chester County worked through the night to extinquish the fire. 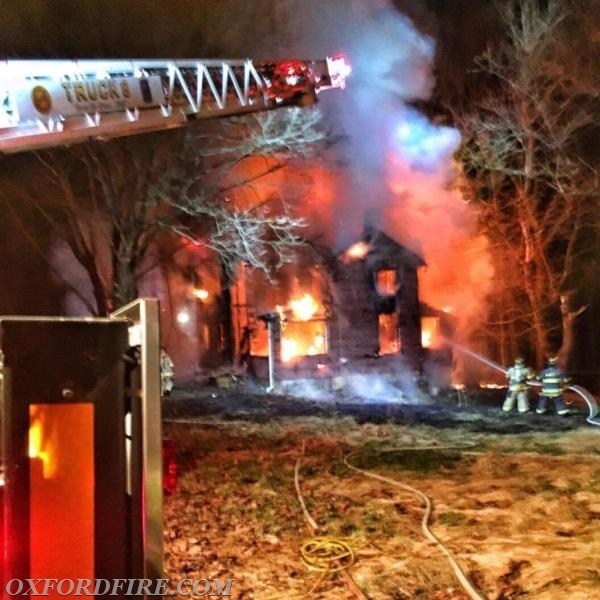 The final Oxford units were clear of the scene at 0301 hours.